If you happen to be at the lovely Body & Soul festival at Ballinlough Castle, Co. Westmeath, come and find us. 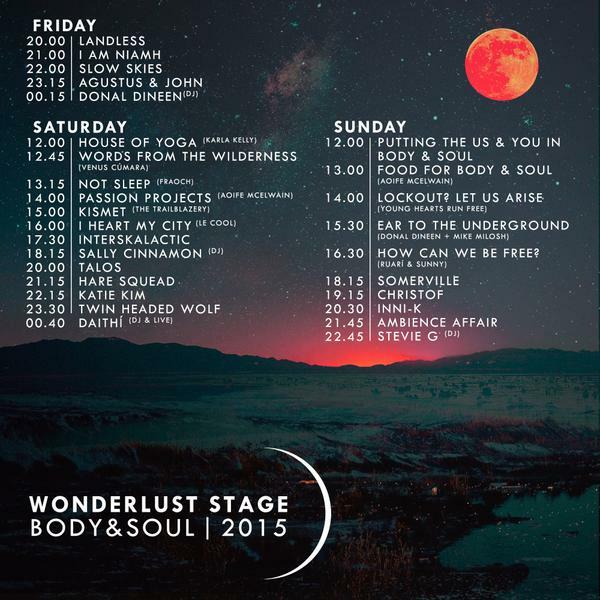 We will be part of the Wonderlust stage on Sunday 21st June – we’re putting together a special presentation with Dónal Lunny and The Spook of the Thirteenth Lock where we’ll be discussing where Irish traditional music has been, and where it is going, and lots more besides. Amid the chat, there will be some special collaborative performances as well – we’re really excited, and so happy that two of our greatest supporters, and friends – Spook and Dónal are going to be part of it.